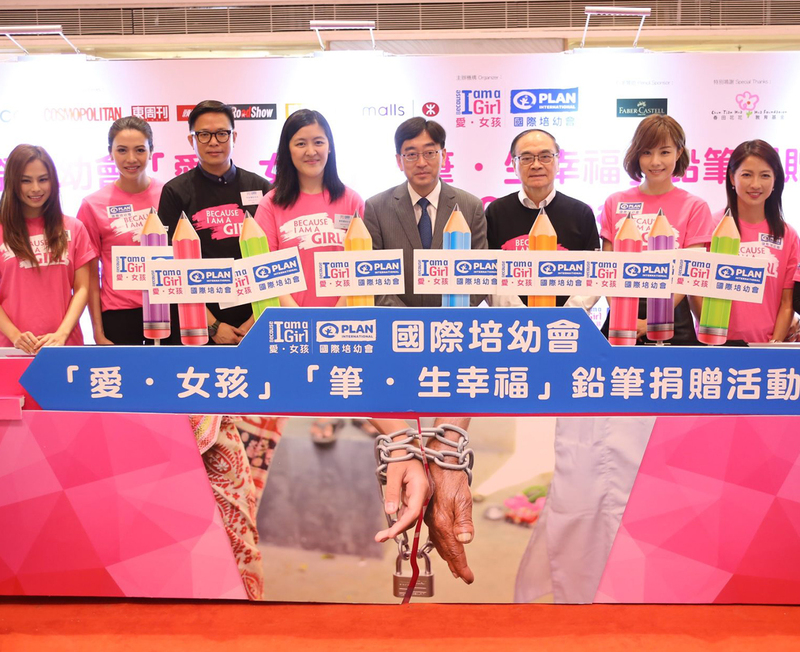 In response to the United Nations’ International Day of the Girl (11th October), Plan International Hong Kong organized the 4th “Because I am a Girl – Donate a Pencil Campaign” again this year from 6th to 10th October, encouraging the public to purchase or donate new pencils to children in Cambodia. Funds raised will be used to support Plan International’s anti-child marriage projects in Cambodia. Plan International has also set up an online pencil donation platform. For each HK$60 raised, which includes 3 sets of pencils with greeting cards attached, Emperor Jewellery will make a matching donation of HK$60, supporting girls’ education. Each year, around 17.4 million girls worldwide are forced into early marriage, which equals to 1 in every 2 seconds. Child brides are denied of the access to education. Plan International calls on the public to take action to support girls’ education and improve girls’ rights. Dr Ko Wing-man, Secretary for Food and Health, attended the opening ceremony of the event at Telford Plaza I on 6th October. Joined by Dr Darwin Chen, Ms. Christine Ma-Lau and Mr. Ralph Szeto, Board Members of Plan International Hong Kong, as well as Ms. Kanie Siu, Chief Executive Officer of Plan International Hong Kong, Dr Ko Wing-man presided over the lighting ceremony by inserting giant pencils into the light box. The chain in front of the light box was then broken into half, symbolizing the power of education in breaking the shackles of child marriage and the commencement of the event. Thereafter, the guests held up their hands for photos, signifying their support for the “Because I am a Girl” campaign and girls’ rights. Dr Ko Wing-man, Secretary for Food and Health (L5), Dr Darwin Chen (R4), Mr. Ralph Szeto (L3), Ms. Christine Ma-Lau (L4), Board Members of Plan International Hong Kong, and Ms, Kanie Siu, Chief Executive Officer of Plan International Hong Kong (R1) presided over the lighting ceremony by inserting giant pencils into the light box, breaking the chain in front of the light box into half, which symbolized the power of education in breaking the shackles of child marriage and the commencement of the event. Dr Ko Wing-man, Secretary for Food and Health, was the officiating guest of Plan International “Because I am a Girl – Donate a Pencil Campaign”. He calls on the public to donate pencils and support girls’ education. Apart from purchasing and donating new pencils, the public could also register for child sponsorship and make donation on site. 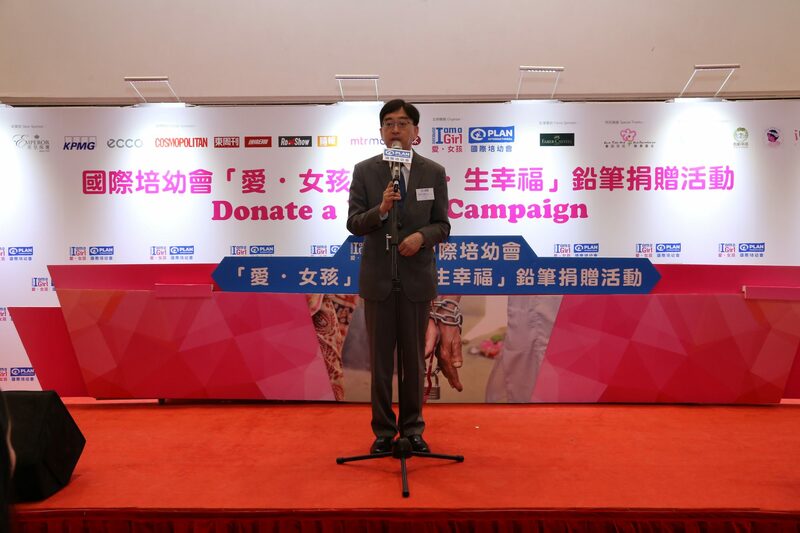 Last year, the event successfully collected nearly 20,000 pencils and raised over HK$400,000. The pencils were sent to children in mainland China and Cambodia, and the funds raised were used to support Plan International’s education projects for girls in Indonesia and Nepal. Last year, the event successfully collected nearly 20,000 pencils, which were sent to children in Cambodia. The children were happy to receive new pencils. Plan International has organized the “Because I am a Girl – Donate a Pencil Campaign” since 2013 with the aim of supporting girls’ education and raising public awareness of girls’ rights. To date, the event has collected 170,000 pencils, which have all been sent to girls in China, Cambodia, Ghana and Nepal. Funds raised were used in Plan International’s development projects in developing countries, promoting girls rights all over the world. 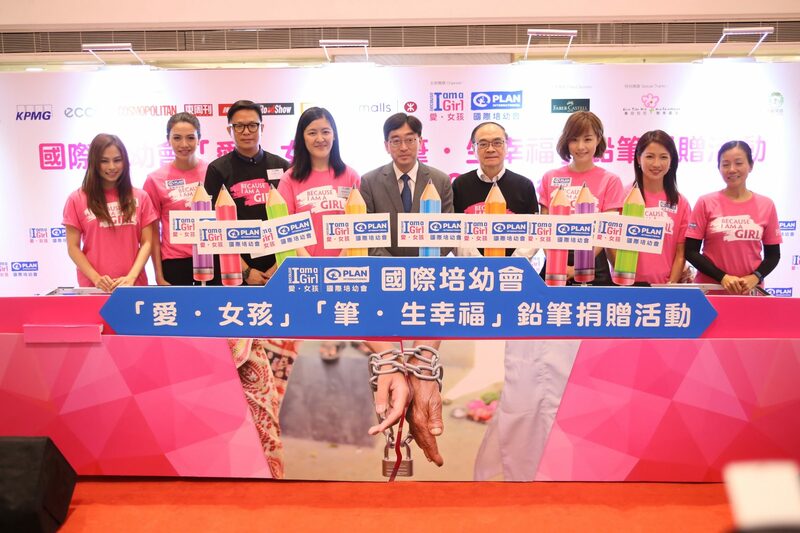 The 4th ”Because I am a Girl – Donate a Pencil Campaign” would not have been successful without the generous support from Gold Sponsor Rotary Club of Hong Kong Sunrise, Silver Sponsors Emperor Jewellery, KPMG, ECCO, venue sponsor MTR Malls and other sponsoring organizations.